What Does GMO Stand For & What Qualifies a Food to be Non-GMO? The world of food can be a bit confusing these days. There are a lot of contradictory answers to seemingly simple questions. What does GMO Stand for? Is it safe to eat GMO food? How do I find GMO free products? How can I support responsible non-GMO companies? As an organic catering company, we here at Eco Caters find the topic of GMOs to be a popular one. So let’s jump right into the big questions. “Genetically modified organisms (GMOs) can be defined as organisms (i.e. plants, animals or microorganisms) in which the genetic material (DNA) has been altered in a way that does not occur naturally by mating and/or natural recombination. The technology is often called ‘modern biotechnology’ or “gene technology”, sometimes also ‘recombinant DNA technology’ or ‘genetic engineering’. It allows selected individual genes to be transferred from one organism into another, also between non-related species. Essentially, scientists change the DNA structure of seeds, in a lab. They desirably modify the properties of a plant for a wide variety of reasons. Let’s use an apple as an example. By planting an apple seed that has been genetically modified, the farmer could yield more apples per tree than they would have had they used a non-GMO apple seed. The advantages of this genetically modified apple don’t stop there. Scientists may have also genetically modified this apple to: grow larger, be less prone to bugs, maintain a longer shelf life at the grocery store, and they even tamper with the apple’s flavor to make it sweeter/tarter/tangier – you get the idea. With all of these advantages are there any downsides to GMO food? Sixty industrialized nations have deemed GMOs unsafe to eat. The European Union, Japan, and Australia have implemented significant restrictions when it comes to allowing the sale of these foods and in some cases, GMOs are flat out banned. Sadly, the United States and Canada have approved the use of GMOs based on studies conducted by the very corporations that create GMOs in the first place. There is a mounting level of research linking GMOs with health problems and damage to the environment. To make matters worse, it is often hard to tell if the food you are eating has been genetically modified. It can be tricky to seek out GMO-free products. If you are interested in learning more about the effects of GMOs a follow this link. Can I tell if my food is a GMO food? Yes! There is a distinguished non-profit organization out there that has your back! It’s called the Non-GMO Project. If you are interested in learning more about GMO-free products, this is your watchdog. How can I find GMO-free products? With as much as 80% of processed food in the United States having traces of GMOs, it’s important to know what foods are free from genetic manipulation. Here are some of best ways we’ve found to avoid GMOs and ensure food safety for human health. Plant an organic garden. This is a great way to be sure of what you’re eating. When shopping, choose food and products that are Non-GMO Project Verified. Download a Non-GMO Shopping Guide app for your phone so you can scan products to see whether or not they have been verified. When Non-GMO Project Verified options are not available, choose Certified Organic products, or low GMO risk alternatives. U.S. citizens have fought hard to keep companies from weakening the organic certification. One key battle fought, was whether or not the FDA should soften their GMO standards and include them in the organic non-GMO label, but that debate was laid to rest by the sheer outcry of consumers demanding GMOs stay out of their organic produce. What’s the Difference between GMO-free foods vs. USDA Organic Organic Certified foods? Overall, all USDA Organic certified foods are non-GMO, but not all Non-GMO certified foods are organic. Making sense of the differences between USDA Organic certification and Non-GMO certification can be tricky. The following chart from PacMoore helps to distinguish these types of certification and could come in handy next time you’re in the grocery store. Eco Caters is proud to support our USDA organic certified and NON-GMO farmers! Executive Chef and co-owner Nick Brune of San Diego, Head Chef Rob Turner of Los Angeles, and co-owner and Executive Chef John Robert Wood of Washington DC, all use USDA organic certified, GMO-free verified ingredients at our events. Eco Caters believes eating healthy is a right, not a privilege and therefore, transparency is very important to us. We strongly believe everyone should know exactly how their food was grown/raised and exactly what’s in their food. We are committed to supporting independent, local organic food farms and educating our community about the importance of healthy, clean food. We hope by exploring this topic, you now feel more empowered at both the grocery store, and when choosing from the sea of Non-GMO Los Angeles catering companies, Non-GMO Washington DC catering companies, Non-GMO San Diego catering companies, for your lunch and holiday party needs. 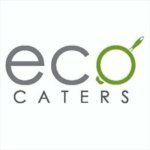 When it comes to choosing the most healthy options for those you care about, Eco Caters only serves mother nature approved, non-GMO food at all of our events. If you have additional questions regarding GMOs or our suppliers, please don’t hesitate to reach out to us. We would love to hear from you!